MCCLOSKEY, Kevin. 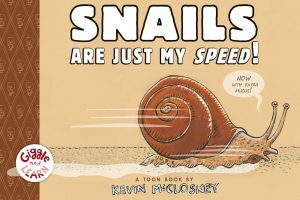 Snails Are Just My Speed! illus. by Kevin McCloskey. 40p. Toon Bks. May 2018. Tr ISBN 9781943145270.